In this episode I discuss primal eating with nutritional goddess and primal nutrition expert Nora Gedgaudas. Nora talks about a pivotal time in her life. She lived among wolf packs in extremely remote regions of Northern Canada. There she witnesses the Native Inuit peoples who have continued to eat primarily as their ancestors have. High saturated fat and small portions of plant life and little processed foods. She observes their exceptionally good health and this makes her question everything she has ever believed about nutrition and “ideal diets.” During this time (because of lack of availability of fresh fruits and vegetables) she is also adapts a similar diet and loses 25 lbs. This experience sets her on a quest to learn about how and why our ancestors ate the way they did and how those principles could unlock the key to true vitality and a life of freedom of dis-ease. Nora reveals key components that must be part of every diet to optimize fertility as well as damaging misinformation that is wreaking havoc on the hormonal health of men and women. You can find more about Nora Gedgaudas at her website and by following her on LinkedIn, Twitter, Instagram, Facebook. Nora’s colorful and diverse history includes time spent as a professional musician, an American Council on Exercise-certified personal fitness trainer, work in veterinary medicine and also in the field of wildlife science–even having spent a full summer living less than 500 miles from the North Pole with a family of wild wolves studying their behavior up close. In 1991 Nora traveled to Ellesmere Island in Canada’s High Arctic archipelago to assist the world-renowned and preeminent wolf biologist, Dr. L. David Mech in behavioral research of an extremely remote family of wolves on the High Arctic tundra over the course of a summer. Exposure to Inuit culture at Resolute Bay and the experience of living in what was ostensibly an “Ice-Age-like” environment sparked new thinking in Nora about the widely accepted (and largely negative) ideas officially sanctioned and popularized about meat-based diets and dietary fat (in particular). Some years later, Nora stumbled across a book that radically revolutionized her dietary views and inspired a whole new life trajectory. This book was entitled: Nutrition and Physical Degeneration by Dr. Weston A. Price. Nora’s special highly dimensional brand of broad expertise includes brain health, neurotechnology, nutrition and mental health, autoimmunity, thyroid health, adrenal health and dysfunction, food sensitivity issues, ancestral (Paleo) diets and fat-based, ketogenic dietary approaches to optimized wellness. She is also becoming a recognized voice in the area of shamanistic study and human consciousness. 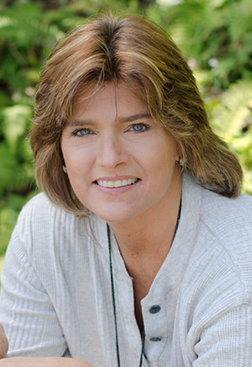 Today Nora is a highly experienced and sought after nutritional consultant, international speaker and educator, and is widely interviewed on national and international radio, popular podcasts, online summits, television and film. 3:08 Dances with wolves-observing wolves in the wild & how it shaped Nora’s views on diet. 9:04 The Native Inuit People-high fat, low plant based diets-what she discovered about primal eating. 12:42 High saturated fats-Nora starts to crave and consume them like never before and loses 25 lbs-without exercising! 17:00 Nutritional pioneer Weston A. Price’s study of primitive tribes-his incredible health discoveries. 19:12 Two common denominators to optimal health (physically, emotionally and spiritually) observed by Weston A. Price. 24:24 Human longevity research-the basic principles that lead to a healthy life. -Why we are designed perfectly to consume animal protein. 30:03 Ideal protein for fertility. 32:38 Why grass ‘finished’ meat is crucial to our health. -Gluten-not a human alive can digest it. And how an agri. diet has resulted in 10% loss of brain volume. 39:32 Lipitor-is it deteriorating our brain? Why healthy brains need sufficient cholesterol-including babies! 40:16 Cholesterol-Nora gives us the skinny on this amazing fat. Why it is your friend and ally. 47:04 Why the focus should never be “lowering” cholesterol. Cholesterol is an indicator- a check engine light-to underlying issues. 49:18 Nora discusses a (more) reliable marker of cardiovascular health. 51:02 Fats on their own do not make you fat and what combination does. 52:28 Paleo? Ketogenic? Why did Nora have to redefine herself? 55:45 Why does the saying, “everything in moderation” make Nora’s blood boil? 56:27 Multi-national corporations need you to keep eating simple carbs-the profit of producing cheap processed food. Ketogenic flu-what is it and who will it most likely affect? 62:38 Do you have blood sugar issues? An easy way to find out. 64:28 If our ancestors listened to conventional nutritionists we would be extinct. 69:01 What dramatically changed Nora’s views on dairy? 74:51 Every organism has to kill in order to eat-Nora discusses the ethical dilemma of food and what really counts. 79:40 How much protein do we really need? Nora breaks it down. Plus, what’s on Nora’s plate? 81:57 Nose to tail eating- all the tasty, nutrient rich cuts we should know about. To prevent birth defects we need to add this organ mean to our diets. What vitamins and minerals can only be found from animal sourced foods? For healthy hormones, nervous system, healthy fertility and a healthy baby (make sure to) eat plenty of this! 91:17 Breastfed babies-born fat burners. 0:28 Charlene Lincoln: I’m so excited for this next guest because my team and I, when she agreed to be on the podcast, we’re all like “Yay!” because we love her books. She’s amazing. She has done so much to educate people about true nutrition, and that’s hard to do because it’s just filled with misinformation. And this woman has done her research. She’s the foremost authority and we have her on and I have a million questions for her. But I’m going to try to abstain and control because this is all about helping people with fertility issues and really reclaiming your health and just living your best life. 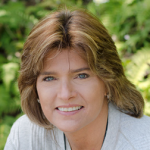 So today, I’m so excited to have Nora Gedgaudas, a board-certified nutritional consultant and board-certified clinical neurofeedback specialist with over 20 years of successful clinical experience. A recognized authority on ketogenic, ancestrally based nutrition, she is a popular speaker and educator and the author of the bestselling book “Primal Body, Primal Mind”, as well as “Rethinking Fatigue”. Her newest book, “Primal Fat Burner: Live Longer, Slow Aging, Super-Power Your Brain, and Save Your Life With A High Fat, Low-Carb Paleo Diet” has been lauded by bestselling author and journalist Nina Teicholz as “a unique and profound contribution to the field.” Her new weekly educational program Primal Restoration is a unique and invaluable source of information benefiting those interested in furthering their nutritional knowledge and optimizing their health. That speaks I think to our whole audience. Welcome, Nora. Thank you so much for being on. Nora Gedgaudas: Thank you so much for your kind introduction and for having me. 2:25 CL: You’re welcome. Before I just start bombarding you with questions, I have so many, how do we find out more about you, your books and everything that you’re doing? NG: My main website is primalbody-primalmind.com and you can kind of link to most things through there. I also have my weekly educational series Primal Restoration. To find out more about that, you can go to PrimalRestoration.com. 2:56 CL: But the main website, it pretty much will link you to everything else that you’re doing and your books. NG: More or less, yes. I also have PrimalFatBurner.com if you just want to find out more specifically about my new book, yes. 3:08 CL: Awesome. Now, first question and because anyone who’s lived amongst wild animals of the four-legged variety, it’s fascinating to me. It brings up so many questions just like how did that shape you, observing them and where were you nutritionally at the time like what was your diet and how did that change that observing wolves out in the wild. NG: Right. All this sort of happened back in 1991. I had some background already in having worked with wolves in the wild and in captivity helping with research. There was a wolf biologist by the name of Dr. L. David Mech who’s arguably the world’s foremost scientific authority on a wolf. He had found this family of wolves less than 500 miles from the North Pole in a place called Ellesmere Island back in 1986. During that time he managed to – no small feat – he found them, this family of wolves which a pack territory up there’s about a thousand square miles. So for him to find that needle in a haystack was really an extraordinary thing. We found from bones that have been carbon dated from the inside of the den after of course the pups and whatever were no longer occupying it that season, that those bones were actually dated back 2000 years. So we know that for at least a couple thousand years and probably quite a bit longer that that very space had been occupied by generations of wolves. So at any rate, every summer Dave goes up there and he sits quietly and he observes in a way that cannot really be accomplished anyplace else in the world. Every place else where wolves are, they have a tremendous fear of us and you can’t get anywhere close to them. This area of the world is unique because these wolves have never been hunted. So they treated us with a combination of curiosity or indifference as it were. We were comfortably able to sit within a couple feet of these animals at any given time and observed their behaviors, followed them on their hunts, sometimes even get left babysitting the pups when the parents went off hunting for a couple of days. It was certainly the most industrial strength of sort of spiritual experience of my life. But it shaped my thinking in other ways. Now, around the time that I left for Ellesmere, and my interest in nutritional science has spanned in excess of 35 years now. I mean certainly at that time, I was pretty passionate about the subject matter but my interest up to that point had been mainly really kind of the minutia of nutrition and understanding what nutrients did what and what supplements did what, etc. I kind of had bought into the standard mainstream low fat, high grain, high complex carb sort of paradigm and was kind of doing that thing. So I was doing a lot of juicing, I was eating a lot of salads and other things and lean meat. I wasn’t a vegetarian at the time although I had been down that road. It was catastrophic for me is what it was. But at any rate, I went up there really concerned that I was going to be missing the single most important thing in my diet which was plant foods. And for that entire summer we weren’t going to have access to grocery stores or anything else. It was going to be whatever kind of food we could drag with us, a lot of which was really high fat stuff that was super nutrient dense that was more compact, easier to transport and more satisfying really. We had a few boil-in-bag dinner type things and then we also did a little bit of hunting up there to sort of sustain ourselves. And I was really worried about that. Our first stop was a place or one of our first stops anyway, a remote Inuit village called Resolute Bay which is on a different island, that was on Cornwallis Island, I believe, in the Canadian high-Arctic Archipelago. We spent a couple of days there collecting gear and whatever else. There is an Inuit population living there, at the time there were probably about 200 people living there, mostly Inuit people. It’s an alcohol-free zone; they didn’t allow alcohol on the island so the people living there didn’t have access to that, thankfully for them. It’s so remote that Twin Otter planes get up there maybe once a week, maybe once every other week to unload some non-perishable supplies and maybe a few limp carrots from Edmonton or something like that. In other words, these people really didn’t have access to plant foods per se. There was a grocery store that was about the size of the remote city inn that had a few nonperishable items, modern-day processed crap basically. It isn’t that people didn’t like those foods but they costed a lot of money and at the time, people weren’t consuming a lot of that. They were largely living off of the land because that was what it was least expensive for them to do frankly. 9:04 CL: What was living off the land meaning at the time? NG: Well, a subsistence lifestyle up there included hunting for seal and walrus, occasional whale meat, and then occasionally getting out and being able to hunt musk ox and caribou and things like that; the occasional polar bear which only Inuits in Canada are allowed to kill polar bears. What I saw was a distinct lack of obesity, I really didn’t see that. I don’t have any illusions that these people were probably eating some processed foods. I don’t know how they escaped that completely. But for the most part the kids looked healthy, seemed well adjusted, was temperamentally really just sweet and happy and curious. The adults seemed perfectly healthy-looking to me and I was thinking to myself how are they doing it up here without vegetables. And I hadn’t really thought about it before going up there. Then I got up to Ellesmere a few days later. One of the curious things that occurred not long after I arrived was that I started to develop these cravings for fat. And again, I’ve been eating a very lean diet, prior to that a very low-fat diet. It would not have occurred to me to crave fat before going up there. In my whole life I don’t recall necessarily craving fat and suddenly I found myself sitting on my backside on the tundra spending all day long eating fat-rich foods. 10:47 CL: Was it cold at the time? What was the temperature? NG: Oh yeah. We’re talking about 500 miles from the North Pole, so it was generally below freezing out, although this was summertime up there which is admittedly brief, just 3 months before it gets dark again. Twenty-four-hour daylight. And this particular area is what is called a thermal oasis. So it was a bit warmer and the area was also considered a dessert, maybe two inches of precip per year. Although we saw an unusual amount of precip that summer. But at any rate, there wasn’t a lot of snow around and there was a lot of native plant life. Arctic willow, purple saxifrage and different things, cotton grass, whatever kind of flourishing. But none of it was edible by us. Nobody would have lived there. One of the things that characterized the region I was in was that there were a number of archaeological sites. I call them archeological sites although most of them had not yet been visited by archeologists. They were still kind of sitting there just as the people that had lived there had left them for thousands of years. Fascinating. You saw the skulls of animals cracked open for their contents laying all over around these encampments. The huge femurs of muskox had cracked open. 12:23 CL: Right. To get the marrows. NG: To get the marrow, the bones. That’s why I’m looking around because I think I have one of those marrow bones. There, this had been broken. 12:34 CL: That’s quite hollowed up. NG: Yeah, and it was great. I’m sure it was enjoyed by whoever got at it. 12:42 CL: So Nora, you’re living in this climate and you’re starting to have cravings for fat that you don’t normally because you’re having the lean diet. So you’re consuming more fat. What’s going through your head at the time or what conclusions are you making? NG: I’m thinking, “Oh my God! What am I doing to myself?” But I’m eating and I was eating handfuls of nuts, eating nut butters, eating cheese, eating salami. I’m not saying I was eating the best quality fats I could have, but eating fat was something that I just couldn’t get enough. Once a week we would go to this military weather outpost where we were allowed to take showers thankfully and all that. I was told by the person running the mess hall that if there was something laying out in the mess hall because we always went at like 3 in the morning when everybody else was asleep so that we could go in there and do our thing without disturbing the activities there. They said if there was something laying out in the mess hall that I was interested in, I was welcome to it. I walked in and there was the light of heaven shining upon it was this enormous bowl of butter. I went over and there was a toaster and some bread laying around and I didn’t care about the bread but it was a vehicle for the butter. And I was still eating bread in those days, unfortunately. But anyway, so I’d toast the bread and I would slather this much of butter on there and just gnash it down. That was like once a week or something I got to do that and I would just use much butter as I could until I was too embarrassed to continue. Anyway, after a couple of three months of this, sitting on my backside and not moving around very much, living amidst this family of wolves just a couple of feet away oftentimes from them, following them on their hunts and sitting and watching them do what they did around the den. I was occasionally babysitting the pups when the parents went off on hunts that we didn’t follow them on. I actually lost about 25 pounds during that time. I was very well-bundled against the cold. The temperatures were freezing but it wasn’t like 0 degrees out or anything. It was hovering right around freezing. I think the warmest day we had was 60 degrees which was balmy. I actually got into a pair of shorts that day just to take pictures. But I know that thermogenic metabolic activity was part of the equation here, that your body’s brown adipose tissue starts burning white fat for energy just to keep you warm. But I was, like I said, very well-bundled against the cold and it was clear to me that there was more to that equation. So it got me thinking, it just got me thinking how could this be possible, how is it that now I’ve lost this much weight when all I did was sit and not move very much over the course of this summer and eat fat all day long. So I had to just squirrel that away in the back of my mind because I just didn’t know what to do with it. Then eventually, upon returning, I stumbled across the work of Weston Price. That was the first kind of like, “Ay! Okay, this makes sense.” Getting gobsmacked a little bit with well, of course this makes sense. But Weston Price didn’t go back quite far enough for me. I was really interested in digging back further. What were the conditions and the foods that were most consistently available to us as a species that would have in fact forged our genome, forged our physiological makeup and forged our most basic nutritional requirements? So I began taking a very ancient ancestral perspective and really looking at that. It’s sort of interesting because in Weston Price’s work, of course he covered – and I’m guessing your viewers are probably familiar with who he was, yes or no? 17:00 CL: I can’t attest to if they are. But you can Google him.. Amazing work, amazing man. NG: Yeah. You think of him as a nutritional pioneer now but he spent 10 years covering over 100,000 miles across the planet at a very unique period time period in human history, 1920’s or 1930’s. We had just developed air travel and yet there were still quite a number of primitive and traditional cultural groups living all over the planet under all different kinds of situations, climatologic and ecological situations and things like that. We’re still consuming their traditional diet, doing their traditional way of life. And he was able to get to quite a number of these cultures and evaluate their health, evaluate the kinds of foods that they were eating. What a lot of people have extrapolated away from Weston Price’s work because he was in the Arctic and then he was in the jungles of South America and then he went to Africa and then he was in remote Lötschental valley in Switzerland and somewhere around Celtic isles, and he went to native North American tribal groups. He did all these things. Of course they were eating a very wide variety of foods and wherever they were eating the diet that was sort of traditional for them, their health was uniformly excellent, they had uniformly or to the point extremely healthy babies and minimal problems with childbirth or any kinds of birth defects and things like that. 18:41 CL: I always think of the teeth. NG: Yeah, right. So when you look up his work which you’re going to come across, there’s a whole range of amazing photographs that if you don’t read a single word of Price is the pictures tell the story. You can just see the beaming health of these traditional societies. They had every single tooth and their head was there and was perfect. Perfectly aligned. They had all their teeth, they didn’t get cavities for the most part. 19:09 CL: And they weren’t flossing and brushing. NG: And they weren’t flossing and brushing. 19:12 CL: Yeah, it’s not about fluoride as we learned from him. NG: Right. And a whole bunch of other things that happened. So what a lot of people take away from Price’s work is oh well, just eat real food. But what they’re forgetting was this very important question that he asked himself and that he studied the answer to, and that was, what did all of these groups where people were optimally healthy physically, mentally, emotionally etc., what did they all have in common? What were the common denominators in all of the situations? He found two. Number one, they all consumed as many animal source foods as were available to them. So in other words, he was not able to find any vegan cultures out there. Tried as he might, he was really very disappointed about that. He was sure he would find somebody or some group somewhere. He never did. Every single people group that he encountered living their traditional way of life all consumed as many animal source foods as were available to them. But the second common denominator was that in every single instance where again, people were extraordinarily healthy and had freedom from disease and all kinds of mental, physical, emotional maladies etc. and birth defects etc., the most important sacred truth to them in every single instance were the ones highest in fat and fat-soluble nutrients, typically animal source. To me, what you have in those two answers is the most important foundational framework for every one of us. The rest, all the other dietary inclusions that other cultures were able to kind of add in that they seemed to do okay with, were kind of nuances, shall we say, in the diet as opposed to things of foundational importance and essentiality. Where the Inuits certainly, out of all of the people groups, the one people group that he studied that had the fewest moving parts in their diet, the ones that most closely met that foundational framework without a lot of extra bells and whistles of course were the Inuit. And he thought that they had some of the healthiest and most robust babies that he had found, that he come across. They didn’t have dental problems, they didn’t have behavioral problems. Women had very few problems with childbirth and all and their health and dispositions seemed uniformly superb. We’re talking about a diet that’s basically meat and fat with virtually no plant material at all except maybe as an occasional snack from the fermented contents of a ruminant stomach or something like that. But other than that, it wouldn’t have been much. In certainly the area that I was in, in Northern Ellesmere where there were these archaeological sites that, again, many of which were like untouched by archaeologists. There were these very primitive sites where people had their dwellings and things like that. People had been living there for over 10,000 years that anybody knows and they’ve been thriving there for that long. There was no edible plant life, not even berries in the summertime up there. At any instance, what I suggest is that, or what I’m not saying is that oh, anybody should eat lean fat. I’m not suggesting that. But what I am suggesting is that that is a foundational framework that should be universally applicable. Then from there, the rest is all nuanced and given the extremely compromised environment that we live in today, we’re not living in Weston Price’s time anymore, we have challenge that we’re facing in our modern environment that were far more challenging as far as I’m concerned than anything that our most primitive ancestors ever had to put up with. Where our air, water and food supply is polluted and tainted with all kinds of things, we got GMOs, we got EMF, we got radiation contamination, we’ve got all kinds of things happening that are compromising us. The more we have compromising us, in my mind the more important those foundations become. Going back and making sure the foundational frameworks are in place and then we modify them based on what might additionally benefit that but not compromise it. 24:24 CL: So you’re talking about modern world, you’re talking about a primitive diet and that’s kind of the foundation. You’re talking about all these things like EMF, Wi-Fi, the constant stressors that we’re under and then this primitive diet being the foundation. What are the modifications or what does that look like for people? NG: The fact that some cultures ate starchy roots and things like that in no way suggests to me that those foods were necessarily optimal for them. But that because we know that anything that stimulates insulin and all of that in our bodies or the fact that they ate huge amounts of protein which is also born out of as a topic research from ancient human collagen remains and things like that. We have to remember that just because our ancestors did something is not necessarily a good enough reason for us to do the same thing now. And this is kind of where I part ways with the so-called paleo genre which has become whatever anybody wants to make it. Nowadays it’s become extremely commercialized. But that how would we know what was optimal and what wasn’t? What I’ve done is I’ve taken a look at human longevity research and there are a couple of basic principles that we can extrapolate from what has been discovered universally in longevity research and born out to be true that, number one, the less insulin we require over the course of our lives, the longer we’re likely to live and the healthier we’re likely to be by far. And also, it’s very important to mention. We’re designed to get our protein requirements met through the consumption of complete source protein. In other words, protein from animal source foods. We are so well designed to consume animal source foods is just ridiculous. We have a hydrochloric acid based digestive system. We don’t have the fermented based digestive system of a ruminant or an herbivore. Ours is hydrochloric acid based. We’re designed to get the nutrients directly from the animals that have synthesized them for us by what they’ve eaten and what they’ve synthesized in their bodies painstakingly. Ruminants, on the other hand, have bacteria that do a lot of that synthesizing for them. We have a digestive tract that makes up only our colon rather a fermentative section of our digestive tract that’s only about 20% of our entire digestive tract. Whereas a chimp which is supposedly our closest primate relative which is also by the way not vegetarian. All Great Apes hunt and eat some meat with the exception of gorillas, some herbivorous gorillas that have a brain that’s about a third the size that would be expected for a primate of their size. But chimps have at least a 52% colonic capacity. In other words, they have these huge fermentative guts and they all look like they have beer guts. Chimps do. And they’re able to synthesize a lot of nutrients from the plant foods that they eat all day, so they’re much better designed to make use of plant foods than we are. But plant foods can provide us with a whole plethora of phytonutrients, of antioxidants that can help detoxify some of the additional things in our environment. They provide bulk and can certainly be kind of filling, and also can provide fodder for our poor beleaguered microbiome and feed the healthy bacteria in our guts. We can’t really extrapolate all the nutrients that are made in our colon by our friendly little internal wildlife, if you will, those nutrients are meant for them, not us. So the butyric acid they make, the B12 they make, whatever else, it’s designed for them. They’re making it to feed themselves with. So we have to get those things from other things in our diet and we’re extremely well designed to do that. But it’s important to meet those protein requirements but not exceed them because if we start eating protein in excess of what we require, well, actually this speaks for fertility issue. If you are looking to become pregnant or you are pregnant or you’re lactating, you’ve already had your baby, or if you are a baby or a child or a teen, in other words you’re growing or you are attempting to reproduce in some way, that extra protein actually becomes important. That is an impetus for enhanced reproductive capacity. There’s a metabolic pathway called mTOR, it stands for mammalian target of rapamycin, and it’s like your body’s default protein sensor. It’s constantly looking for evidence of what’s the nutrient availability in the diet and is this a good time to reproduce or not. When we consume protein in excess of what we need, that’s the signal of okay, great time to make new cells, great time to make new life. 30:03 CL: So what is that guideline? Because we’re talking about fertility issues here. What’s the excess? NG: We’re talking about fertility. When you are trying to become pregnant, then you really want to meet but not exceed those things. That is a potential also impetus for cancer. Not good. But, if you are really needing to make new cells, so the amount that I end up recommending for the average person, not the average person trying to have babies, is about 20 grams per kilogram of estimated ideal body weight. I provide all that information in my books. That equation is there, anybody can plug the numbers in and figure it out very quickly. But what you need to do is add about 25% to that. So at least a gram to a gram and a quarter or gram and a half per kilogram of your estimated ideal body weight in order to meet the demands of something like pregnancy or early childhood growth and development. Now, so protein becomes more important when you’re pregnant or trying to become pregnant. 31:25 CL: And the type of protein as you were saying before. NG: The type of protein. By the way, I really wanted to find this too because what I’m advocating for is basically a fat-based essentially ketogenic approach that is utilizing foods of uncompromising quality. That is something that I’m unshakable from. 31:47 CL: Please describe what that is. NG: So what I mean by unshakable quality is the health of the meat that you eat and the fat or whatever directly correlates to the health of the animal that meat and fat came from. You want to be consuming meat and fat from animals that themselves have eaten a diet that’s natural to them. In other words, where they have been able to live out of fresh air and sunshine and on forage naturally, on grasses and other types of forage that are natural for that particular animal as opposed to being stuffed full of grain, shot full of hormones and antibiotics and other things that are completely unnatural to wild animals. So you want things to be organic, non-GMO please and totally grass-fed and finished. 32:38 CL: Grass-finished. That’s real important. NG: That’s an important thing because a lot of meat markets and stores, whatever, get by and say, “Oh yeah, it’s all grass-fed because all cows spend some of their life on pasture.” But it’s where that animal spends the last few weeks of its life that ultimately counts because that’s what’s going to make up most of the fatty acid composition. If the animal has consumed nothing but grass right up to the day of its death then what you’re going to have is very high omega-3 content. You’re going to have very high beta-carotene content, very high vitamin A, very high vitamin D, very high vitamin E. You’re going to have all this CLA (conjugated linoleic acid) which is anticancer and helps promote brain health and all kinds of wonderful things. You can get as much omega-3 per gram in some really high quality sources of grass-fed beef as you would in a piece of wild salmon. Our ancestors weren’t getting omega-3’s from fish and stuff like that, maybe occasionally they did. But for the most part, our evolutionary antecedents got the majority of their protein and their fat from actually very large land-based herbivores. That was the preferred thing that we hunted throughout most of the 2.6 million years of our evolutionary history. And the very fats that actually characterize the human brain are responsible for its unique cognition. So the two fatty acids most responsible for our unique human cognition are these 20 and 22 carbon fats: arachidonic acid, e-arachidonic acid; and also hexanoic acid or DHA. Both of which are exclusively found within our diets within animal-sourced foods. And so this is what makes our brains unique and if these things aren’t in your diet, then they’re not in your brain. We actually over the last 10,000 years, following the demise of the megafauna for 2.6 million years up until the end of the last Ice Age, suddenly more than 120 species, literally tens of millions of animals suddenly died in almost a blink of an eye. This wasn’t due to overhunting by humans. They may have been some overhunting that happened but you can’t account for the loss of 120 of the largest species that ever walked, mammalian species that ever walked the earth based on a handful of Paleo-Indians running around and running with animals. And there’s some recent evidence too from astronomers and geologists and whatever have come now to kind of a realization that this all did end very, very abruptly. So suddenly we had to come up something else and being the enterprising and innovative species we are, we came up with the idea of cultivating seed grains in conceived idea but we did it because it was convenient. I think we also developed a little bit of an addiction. I think addiction is probably a good reason for why it is that we went from a relatively comfortable three-hour work day of they estimate the average work day for hunt or gather, you hunt and gather and you’re done in like 3 hours. As opposed to 8 plus hours of back braking labor in the fields for a vastly inferior source of nourishment that no human being can even make full use of. Dr. Alesio Fasano was the world’s foremost scientific authority, arguably, on celiac disease. He will tell you point blank there’s not a human being alive on earth that can actually digest gluten. So it’s not a protein source for us. It always causes damage to the gut, it always causes damage to the brain. It’s always compromising, let’s put it that way. Regardless of whether you have an immune reactivity to it and immunoactivity is far more common than anyone knows. The fact that only 1 of 3 percent of everyone that has gluten immune reactivity knows it by no means suggests that that’s all that there is. The majority of people that have trouble with this have no clue. But you don’t have to have to problems with it in order for it to damage your gut or damage your brain. 39:32 CL: Lipitor, whatever, or one of that. NG: If you want healthy babies, you got to have sufficient cholesterol. You got to have sufficient fat and fat-soluble nutrients. Those fat-soluble nutrients are not only important for your health and also the prevention of things like birth defects and things like that, but they’re also critical for the formation of the immune system for the manufacturing of hormones and prostaglandins and also the proper absorption utilization of minerals. 40:16 CL: There’s people that are going to be listening and going, “This makes me uncomfortable because I’m told that I have borderline high cholesterol.” Let’s debunk some of what creates that. NG: I don’t know how much time have you got because I can go on all day about this. Look, even the American Heart Association concedes or they now will admit that dietary cholesterol and serum cholesterol have virtually nothing to do with each other. That you have anywhere from, what, 150,000 milligrams of cholesterol distributed throughout the human body, throughout the brain and nervous system, throughout every cell membrane, at least 35,000 milligrams of that is just occupying each one of your cell membranes and that we use to make our steroidal hormones and that you use to synthesize vitamin D from sunlight. I mean, cholesterol, it functions like an antioxidant in the body. Your body actually has a means to manufacture up to a couple of thousand milligrams a day of its own supply. If for some reason you stop eating cholesterol, your body is going to start trying to make more cholesterol in a way that’s a little bit uncontrolled by activating this enzyme in the liver called HMG-CoA reductase and that’s what statin drugs basically suppress is that enzyme which manufactures cholesterol from things like carbohydrates in the diet. If you want to naturally normalize your cholesterol levels, well, eat sufficient cholesterol and try to avoid the excess carbs. And your cholesterol levels and the lipoprotein profile associated with those cholesterol levels, in other words high-density lipoproteins and low-density lipoproteins. There’s no such thing as good and bad cholesterol. There’s only one form of cholesterol that your body makes, and it is carried into the body from the liver on a carrier molecule known as a low-density lipoprotein (LDL). Cholesterol is not the only thing piggybacking on LDL; antioxidants and other nutrients and fatty acids also go out for the ride from your liver out to the periphery of your body where cholesterol does all of its magical things and where these other nutrients are brought and deposited and utilized. Then once that’s spent, it’s recycled back into the liver again by something called high-density lipoprotein or HDL which is the good cholesterol which is termed because where’s the word “cholesterol” in high-density lipoprotein and low-density lipoprotein? And once HDL brings cholesterol back to the liver, it is then recycled back into LDL again and goes back out. It’s not taken and eliminated from the body as a bad thing. Cholesterol is not taken away and gotten rid of. It’s actually recycled and reinvigorated to make the next set of rounds. And cholesterol functions like an antioxidant in your body. It’s also like your body’s version of duct tape. It goes around patching up lesions and shoring up cell membranes and things like that and just sort of doing its job to make sure that you have good cellular integrity and that if there’s damage in your arteries it tries to bandage that up. But actually 80% of what plaques your arteries isn’t saturated fat or cholesterol and yes, I have a study to show this. Those plaques have been evaluated. Saturated fat and cholesterol are almost non-existent in them. The little bit of cholesterol that’s there is there to try to patch up whatever lesions have occurred usually as a result of excessive insulin because insulin is very caustic and damaging to the arterial endothelium. 44:07 CL: So what kind of foods is creating it? NG: Sugary and starchy foods. Also rancid fats, very, very bad. Eighty percent of what plaques arteries is not saturated fat or cholesterol. It is rancid and oxidized unsaturated fats, polyunsaturated fats. 44:27 CL: The unstable vegetable fats. NG: Vegetable fats. Right. Or things that we’ve overcooked or sat around too long. Or where you don’t have sufficient antioxidant protection to keep them from going bad. So trying to get rid of cholesterol is the equivalent of basically blaming the fireman that comes to put out the fire and then trying to get rid of them. It’s as if they were responsible for the fire in the first place. NG: Yeah, exactly not. Not. I see this as cataclysmic, catastrophic. 46:18 CL: Please don’t be the guinea pig for that one. Thank you. So now we’re talking about cholesterol, I think there’s more misconceptions about cholesterol. NG: Cholesterol is a substance that’s so critical for human health, it’s ridiculous. Without cholesterol, you have no steroidal hormones. Without cholesterol, you have no healthy cognitive brain function at all. Your brain cannot function without it. Your immune system cannot function without it. Your neurotransmitters cannot function without it. And so cholesterol is your friend and ally, your body makes it. It’s not trying to kill you. 47:04 CL: Nora, there’s a couple sitting here listening to this and I always assumed like men are more on Lipitor but that’s probably not the case. Say one of them is on Lipitor and they’re listening to it and they’re trying to get pregnant. I mean, you’re not just getting off Lipitor or you need to work with your doctor or whatever. But, what are the steps that they’re taking to kind of balance the cholesterol and get into a healthier state? NG: The focus should not ever be cholesterol. Cholesterol is an indicator. There’s all kinds of evidence to suggest that cholesterol levels of 220, 240 and 250 are perfectly normal, have always been perfectly normal. But if for some reason cholesterol levels appear to be on the higher end, they’re going up or whatever, to me it’s like the light going on on your dashboard as you’re driving down the road. That’s telling you there’s something going on. Now you’re not going to fix the problem by just unscrewing the light on your dashboard and considering, “Oh, to fix the problem I unscrew the light bulb and then I don’t have a dashboard light.” At that point it’s incumbent upon you if you really want to know what’s going on to pull over to the side, lift up the hood and figure it out. What it’s telling you is that there’s something going on in your body for which extra cholesterol seems to be needed. Lots of reasons why cholesterol will elevate. Cholesterol is an acute phase reactant. It will elevate and sometimes plummet in response to inflammation in the body, depending on whether it’s chronic or not. If it’s chronic, it may plummet. Infections, if you have depressed thyroid function, I guarantee you’re going to have elevated cholesterol. It just comes with the territory. Be happy cholesterol is there doing its job but then you have to lift up the hood and dig a little deeper to figure out what you might need to do to correct whatever the underlying imbalance might happen to be that is causing your body to use cholesterol protectively. So cholesterol again, be happy it’s there. That’s not the problem. You have to figure out what else might be going on. 49:18 CL: What about triglycerides? NG: Well, triglycerides again, so as with many things, it depends. We know that triglycerides are a much more reliable marker of cardiovascular disease. Elevated triglycerides. Anything over 100 is you don’t want to see it, the fasting triglyceride levels that way. And triglycerides which are blood fats actually are not the result of dietary fat. Dietary fat is actually absorbed mainly through the lymphatic system. There are certain short and medium chain fats like butyric acid and also medium chain triglycerides from things like coconut oil and whatever that are absorbed directly through the hepatic bloodstream and immediately used for energy. Either through beta-oxidation or through the production of ketones which are energy units of fat that your brain can use almost exclusively for its more optimal function. It’s crazy how well your brain works on ketones. Much better than the way it works on glucose. But other forms of fat are actually absorbed through the lymphatic system that way and not dumped right into the bloodstream. What happens, when we consume carbohydrates in excess of what we need right now in an emergency situation where we’re trying to outrun a cantankerous running mammal or saber-toothed tiger, is it goes into your liver and it is then converted into triglycerides, into blood fats which are then transported around the body and deposited mostly in places where you’d rather not have them. That’s what’s responsible for making the kind of body fat that most of us would rather not have too much of. 51:02 CL: The adipose-type fat around the stomach and things like that. NG: Right. Now, if you eat carbohydrates and fats together, it’s not a good combo. You don’t want to be eating sugar or starchy foods and fats. I know that putting butter and sour cream on a baked potato is a popular past time but it’s not necessarily the smartest thing to do from a metabolic perspective. The deleterious effect of saturated fat, and I’m quoting Dr. Richard Feinman now, are basically have always been observed in the presence of high-carbohydrate diets. Eating fat on its own in and of itself does not make you fat. It does not cause problems at all in and of itself from high quality sources. But the effect of fat on its own is extremely different from the effect of fat in the presence of carbohydrates. Very, very different. You’re much more likely to store the fat that you eat if you prefer not to. And they’re much more likely to oxidize because of the free radical activity and the inflammation that blood sugar surges generate and that insulin generates. So you’re much more likely to oxidize that fat and cause it to go rancid in your body and cause the cholesterol to go rancid. That would be the only bad form of cholesterol oxidized to a rancid cholesterol just like oxidized or rancid anything isn’t good for anyone. 52:28 CL: A couple of things come up. If someone was not familiar with your work and they read your book and they could easily categorize and they could say, “Oh Nora, she’s a paleo nutritionist.” What’s the differentiation there? NG: I’ve had to contemplate this a lot more strongly lately because the so-called paleo genre now has kind of gone off into this highly commercialized direction that I don’t necessarily resonate with. The whole ketogenic thing is doing the same thing actually quite frankly. So I’m very, very careful to define what I do. And again, it’s a high fat, low carbohydrate, moderate amounts of protein diet based on foods of uncompromising quality that are in direct alignment with our human evolutionary and genetic heritage. Then I dovetail all of that. I kind of cross-pollinate these principles with principles in human longevity research that allow us to take what our ancestors did which as far as I’m concerned is the only rational starting place we have. Then optimize it, to best optimize it. I also take into account the world that we live in today. I’ve actually coined a new term that I’m in the process of legally trademarking called “primalgenic” to create basically this whole genre because there is a very clear standard there and that is unambiguous if I’m going to define it. If I try to call myself paleo, I have say, “Well, here’s how I’m different and ketogenic is different…” The ketogenic genre is doing all kinds of crazy stuff, I just don’t necessarily think are very smart to do. NG: That’s what I’m about. That’s consistent through every single one of my books. You’ll find that I’m not changing my tune with the tide. I’ve been saying the same thing publicly since 2009 in my work and in my whatever. I haven’t changed my tune based on what’s popular. I’m not a nutritional politician. I’m not interested in telling people what they want to hear. And frankly, I’m not interested necessarily in being right per se; I’m most interested in being as accurate as possible to provide the best possible information that people can come across so that they know how to create a foundational basis for their health that is going to be universally beneficial. Some adjustments may need to be made under certain situations and I account for that in my books. But the fact of the matter is that you hear people say that “well, everybody’s different” and I consider that something that a nutritional politician likes to say. 55:45 CL: Everything in moderation, and you addressed that. NG: That’s the other one that just gets me, if you want to see my blood pressure go up. “Everything in moderation.” Since when? Since when is it perfectly okay? Since when is something that’s metabolically dysregulating and inflammatory and mutagenic or whatever okay in “moderation”? NG: Yeah, this is not a time for diplomacy. 56:27 CL: We’re in a crisis. NG: This is a time for information. Unfortunately, for instance I can’t think of a single multinational corporate interest which by the way own the media, all of the mainstream media, television, print and radio and whatever are owned by about 6 different multinational corporate interests. Every single television media thing has somebody from a pharmaceutical company sitting on the board and have people from Monsanto or whatever advising them. They are beholding to their advertisers. Like American Heart Association and whatever else, a lot of these government agencies are also very beholding to these corporate interests. I can’t think of a single multinational corporate interest on the planet earth actually that would not be heavily invested in every man, woman and child on planet earth eating essentially a carbohydrate-based diet because it’s cheap and easy as heck to produce. It’s incredibly profitable. There’s no way you can make a 5000% profit on a grass-fed steak like you can a box of cereal. And also, eating that type of diet is going to more or less keep whoever’s eating that way perpetually hungry because carbohydrates are fundamentally a form of metabolic kindling. Your so-called complex carbs, your brown rice and your beans and your whole grains and crap like that basically, sweet potatoes, whatever, are basically the equivalent of twigs on your metabolic fire. White rice, white potatoes, white bread, things of that nature are a little bit more like crumpled up paper on that metabolic fire. Things like alcoholic beverages and sweetened beverages and juices and things like that are effectively like putting gasoline or lighter fluid on that metabolic fire. If all you had to heat your house with was a big pile of kindling, well you could do that, and metaphorically this is what 99% of people in our culture are doing each and every single day and are being told to do by medical authorities and by the media. What are you doing? You have the doors to that wood stove open and you’re constantly preoccupied with where the next handful of fuel is going to come from to keep that fire going. But what’s the alternative to this? Well, what if instead you throw a nice big fat log on that fire, now suddenly you’re kind of free. You can go about your business, you don’t have to be thinking about it all the time. And what I advocate for is developing a fat-burning metabolism. In other words, metabolically relying on free fatty acids and ketones as a primary source of fuel which is we’re extraordinarily well-designed for this. As opposed to a glucose based metabolism that is constantly relying. See, we’re told that we’re supposed to rely on glucose as a primary source of fuel. That’s very misleading, if not wholly inaccurate. It’s true and only true if you have cultivated a dependence on glucose as a primary source of fuel of what it is you’ve chosen to eat. But the alternative is absolutely there and we can manufacture of the three major macronutrients – proteins, fats and carbohydrates. The only one for which there is literally no scientifically established human dietary requirement for is carbohydrate. We can manufacture all the glucose we need for the very few things that it’s actually required for in the human body from a combination of protein and fat in the diet. Hopefully you get most of it from fat and not protein. It’s much healthier to get it from fat and not protein. And you don’t ever have to consume any ever in order to meet those basic glucose requirements. It takes a period of anywhere from 3 to 6 weeks in my experience commonly to make that metabolic transition because it’s kind of like you’re trying to convert from a gasoline engine to a diesel engine or whatever you have. In other words, it takes time for your body to adjust its enzyme production or whatever else to accommodate a fat-burning metabolism and so there is a little bit of metabolic purgatory that takes place in the intervening time; some people call it the ketogenic flu. Some people don’t experience it at all. I didn’t. It was easy-peasy for me. And other people struggle a bit more if they’ve been addicted to carbs for a long time or they have maybe depressed cortisol levels or something like that that can make it really hard or they have Hashimoto’s or something. It can be harder for people that have severe dysglycemia to make that transition but it’s all the more important for them to do it so that they’re not experiencing this all day long in their mood, in their cognitive function and their energy levels. I’ve had my blood sugar as low as 57 that I’ve measured where I was completely awake, alert, bright-eyed, bushy-tailed where I felt great, I wasn’t hungry. And it’s because I don’t really care how low my blood sugar gets. It’s where it needs to be or whatever the little bit that I need glucoses for because I’m relying on fat instead as a primary source of fuel for my brain, for my nervous system, for my energy levels, for my cognitive function, everything. 62:38 CL: A question. What’s for breakfast? You kind of could figure out if you’re going to have like the grass-fed, grass-finished steak or something for dinner. But what’s for breakfast? NG: Well, so I have a 21-day meal plan and close to 60 recipes in my book Primal Factor and I include breakfasts in there. The fact of the matter is it’s already a little after 1:00 in the afternoon here where I’m at, I haven’t had breakfast and I’m fine. I’m not even hungry. I will eat something at some point. And I usually try to eat whatever the biggest meal of the day is going to be by around 4:00 or 5:00 if I can do it. I don’t like eating too late in the evening because it starts to interfere with sleep. You don’t want to be digesting when you’re resting and regenerating. But I have breakfast, lunch and dinner kinds of recipes because that’s sort of the mentality that people have and again, a lot of this is based on the idea that when you have a sugar-based metabolism, you’ve got to eat every couple of hours or else, right? There’s an easy way to figure out if you have a blood sugar problem. First question to ask is: how do you feel if you haven’t eaten for 6 or 7 hours? For me, I had just a few slices last night, I don’t know, at about 5:30 last night or something. That was the last time I ate. But if you haven’t eaten for 6 or 7 hours – – how do you feel? NG: Are you feeling tired? Are you feeling kind of headache-y? NG: You’re agitated, that little thing that rhymes with itchy. Right? And the second question to ask is, once you’ve eaten, how do you feel? Are you feeling more energized? You can like, “Oh, I can take on the world now,” where suddenly you get a surge of energy and you feel great again or you feel a little more tired and want to take a nap. If you’ve answered yes to any of the things that I’ve just listed for either question, you’ve got a problem. That’s not normal. It’s not normal to feel any of those things in the absence of a regular meal. What it is normal to experience in the absence of a regular meal is hunger. The way you’re supposed to feel is hungry. And once you’ve eaten, the only thing that you’re supposed to feel is not hungry. And if it’s anything else, you’re not dealing well with blood sugar. Now, what most conventionally trained nutritionists and whatever would tell you is, “Oh, you’ve got to eat every couple of hours and you should snack in and whatever else.” If our ancestors would have been forced to do that, I don’t think we’d be here because you live in the wild, food availability is kind of a hit-or-miss thing. There are all kinds of things that can interfere with food availability. The time of year, whether or not the animals are available for hunting, whether or not it’s a time for year where there are plant foods that are available for foraging and whatever the other conditions are. I mean, we were regularly exposed to famines and to things where hunters came back to the camp empty-handed. There was just nothing out there to be gotten. And yet it doesn’t make sense that nature would cause us to mentally and physically crash with that happening. That if we’re operating on fat as a primary source of fuel, you have all of the energy you need in order to do what you need to do even in the absence of regular meals. Fat is perpetually available. We all have anywhere from 100,000 to 150,000 kilocalories of fat. Even the thinnest person watching this does. That could be fueling you ongoing even in the absence of available food. And it’s even burning and it’s constant and it’s reliable. Now I’m not saying that you should be going without eating. I’m just saying that your sense of well-being shouldn’t be contingent on whether or not you get to eat every couple of hours. 67:24 CL: It’s such a different message than we’re told that it sort of makes my head spin a little. Most of us have some blood sugar imbalances. I wake up in the morning, I need some protein or I’m kind of going off the rails and the only people that I know that sort of can go, “I haven’t even had breakfast and I’m stretching lunch.” They drink a pot of coffee and they’re just on this adrenal drive. NG: Right. That’s not energy. That’s a stimulant. I’m not categorically opposed to coffee as long as it’s organically grown and clean. In other words, that it doesn’t have a lot of contaminants in it and that sort of thing. But you kind of have to take it on a case by case basis. If you’re not worth a damn without your morning coffee, if you forego that cup of coffee, how are you doing? And if you’re really struggling without it, you need to look at that. You need to take a look I think at why that is and figure out what’s broken so that you’re not having to be dependent on a stimulant in order to function. Coffee is not energizing; it’s stimulating. There’s a difference. And there are consequences to overstimulating yourself all the time. A cup or two of organic coffee a day, if you enjoy it or whatever. I stopped liking coffee a long time. I just don’t even enjoy it. I don’t even like the smell of it anymore. I enjoy my cups of tea and sometimes the tea has caffeine and sometimes it doesn’t. And it’s inconsequential. I can take it or leave it. It’s comforting, so I like to have it. 69:01 CL: Our message is, if you’re trying to conceive, coffee is probably not the best thing to have in your diet. But what about dairy? Because now there’s all this raw, grass-fed, looks like very clean dairy. What’s the take on that? NG: I’m really glad that you brought that up. So the whole dairy thing, in my newest book, well in my first book Primal Body, Primal Mind, I was actually kind of understanding about dairy as long as it’s grass-fed and raw and all that kind of a thing but really good quality. I’ve actually removed dairy as a dietary inclusion in my most recent work and the way that I look at it now, I don’t consume dairy at all with one notable exception that I’ll mention. The reason that I don’t recommend it at large is that it’s such a common source of immune reactivity for humans and the less you’ve been through Cyrex Labs testing, that’s the only lab in the world by the way whose testing I trust for this. Lots of other labs doing food sensitivity testing, I consider most of them unreliable at best. Most of them are not doing the kind of due diligence that they should. Cyrex Labs is the only one that has meticulous quality control and has standards of sensitivity within one to two standard deviations versus 4, 5, 6, 10 or 20 that’s typical of other labs. So in other words, the results are extremely accurate, they look at both raw and cooked forms of various foods that they’re testing for. They take actually control of the raw materials and they process them themselves and they do it in a very specific way. They look at IgA, IgG, IgM immune reactivity. Nobody has the comprehensiveness or the accuracy of Cyrex. Just nobody. They are obsessive-compulsive about those. 71:13 CL: Thanks for mentioning them because it’s confusing who to go to these days. NG: They’re ahead of everybody else so if you’re going to spend your money, at least get it accurate because then of course we just don’t know we may be told yes or no, and you’re not going to know for sure. You do know for sure at Cyrex. And at least half of everyone in the world having gluten immune reactivity has dairy as a cross reactivity, meaning that some sensitive immune systems cannot tell the difference between gluten and dairy protein. I’m one of those people, I had no idea. A lot of people say, “Well I don’t have a problem with dairy, I tolerate it fine.” I thought I could too. I didn’t know until I look at a test result, “Oh crap. What have I been doing to myself?” Autoimmune disease right now is in my view the number one health burden in the world that is probably the least recognized. And many, many more people have an autoimmune condition without being aware of it and you’re not likely to be diagnosed by any conventional standards until that condition is in its end stages and total tissue destruction has already occurred and nothing can be done. So gluten and dairy are the two most common culprits when it comes to at least with respect to food sensitivities, when it comes to triggering and exacerbating any and all autoimmune conditions. Unless somebody has done Cyrex testing and Cyrex tells them “your immune system just doesn’t even react to dairy at all,” then I hate you because I miss butter and cheese, and it’s okay. But if you don’t know, it’s better in my view to go without. Casein is a very, very difficult molecule for us to digest anyway and it’s a common source of reactivity. Look, when you look at a lot of studies especially T. Colin Campbell who was guilty of this, what he defined as animal protein in The China Study, which wasn’t a study by the way and was really, really horrible science, what he defined as animal protein was casein which are in dairy products. And it’s the least well tolerate of all animal source proteins, the most likely to cause inflammation, the most likely to compromise your immune function, and the least digestible by us. So for that reason and because optimization is what I’m really going for, it’s like I figured if you shoot for the stars, maybe you’ll hit the moon. I tend to recommend not consuming it unless you’re able to prove otherwise. 74:02 CL: Thanks for bringing up the China Study. For me, reading that and I didn’t know about the casein but obviously it sort of further kind of conflicted me. I know the way that with quality saturated fats and grass-fed, grass-finished meat, that’s how I feel the best but I’ve been morally, ethically conflicted, and trying to kind of talk myself into other things and I just go back to this diet because it’s the only thing that sort of makes me feel healthy. NG: Right. If a vegetarian or vegan is vegetarian or vegan because they are opposed to the way that animals are raised for food in feedlots and cattle operations, right? 74:51 CL: Or feel like they should not consume another animal. NG: Exactly. So starting with those arguments. I’m out there with them. I’m out there with the pitchforks and the torches and whatever else because to me, that’s not food. And there is an ethical issue with that. But the alternative to that is not vegetarianism or veganism. Look, everything that is alive and breathing on this planet, every organism alive has to kill in order to eat. That’s the nature of life on planet earth. There is a cycle of life and death of which we are whether we like it or not, of which we are a part, of which we are a very natural part. And even a vegetarian has to kill in order to eat. Now, if it’s the life of a plant versus an animal, well there’s an inherent value that you’re placing on the life of an animal versus the life of a plant which by the way, there’s a lot of evidence now that plants have their own brand of sentients. And I’m not saying that you’re a bad person for killing and eating plants. I’m saying that there’s this natural cycle of life and death of which we have always been a part and we get into trouble when we think we’re somehow above that. I think that the popularity of vegetarianism and veganism is highly symptomatic of just how far removed we’ve become from the natural environment we have all been and that naturally sustains us. There has never been a more destructive human force on planet earth than agriculture. Nothing has done more to ecosystems, diversity, and has done more to dump horrible chemicals on the land and sterilize and destroy the soils than agriculture. But for tens of millions of years before humans ever came along, the ruminant animals that blackened almost every landscape across the earth that are grasslands and ruminant animals that coevolved. And if you take those ruminant animals off the grasslands, the grasslands die. The land mass on planet earth, two-thirds of which has fallen prey now to desertification directly as a result of killing these animals off from the land, removing the predators from the land and putting plows to soil that it creates soil erosion and we now have desertification occurring throughout the world. If you look at the work of The Savory Institute, Allan Savory’s 2013 TED Talk which was the biggest TED Talk of that year and one of the biggest TED Talks, you should run and not walk to do so. What The Savory Institute has done through a process called holistic management which is taking ruminant animals, in other words livestock and restoring natural systems to the land by taking these animals which by the way, it’s all compatible with wildlife and everything else. Putting them back on the land where they belong where they actually reinvigorate the health of the soil and of the plant life growing there because these animals, they amass in these huge herds and the little hooves are aerating the soil and of course they’re fertilizing it all like they’ll get out during the time that they’re there, then predators come along and also just even biting off the plants and the grasses and things like that, actually further invigorates the root systems and creates new growths. Then predators come along that are preying on these animals and that makes them their business so they move off and they move around vast areas that allow the area that they just trampled to recover and become better than it was the last time the animals were there. Through a process called holistic management which basically mimics these natural systems, you can take a place where there’s barely a blade of grass growing. And this has been illustrated throughout the world now and every continent now. There are a number of continents that are implementing holistic management to one degree or another. You can restore the health of that landscape and suddenly have a green and flourishing landscape with restored watersheds and everything else within a couple of seasons of just natural grazing. And by the way, at the same time, what you’re doing is you’re creating a superior food supply for the vast human populations. The dietary approach I espouse is not a high protein diet. It’s not about lots and lots and lots of meat. Please be clear of it. 79:40 CL: Yeah, clarify it. NG: It’s moderating your protein intake. Meat, but you don’t have to exceed which means nobody needs more than 6 or 7 ounces of protein in an entire day. So if I’m going to have a breakfast or lunch, we’re talking maybe 2 or 3 ounces of meat on that plate. So if you look at my dinner plate, you’d say “Wow, she must be a vegetarian” because you’d see all these chopped fibrous vegetables and grains, I don’t eat starchy ones but fibrous vegetables and green sprouts, some cultured vegetables on there and whatever else. And then you look a little more closely and you say, “Oh no, no. I see little bits of meat on the plate.” It’s sort of hidden in there but it’s there. And all of it is kind of glistening because all of this was cooked in really high-quality fats largely from animal source foods that have a lot of nutrition to them and not just calories. So in the end, calorically, fat has roughly twice the calories per gram of protein or carbohydrate but if you have a fat-burning metabolism, that fat will actually generate up to four times more energy than protein or carbohydrate have the potential to do. So the majority of the calories on the plate are actually coming from fat even though it’s not like the food is floating in fat. You’re eating enough fat to satisfy your appetite and to meet your fatty acid and your fat-soluble nutrient requirements. You’re moderating the protein intake; you’re meeting but not exceeding your protein requirements and then you’re eating all the extra fibrous vegetables and grains for their bulk, both cooked and raw and cultured, fermented vegetables are great for the extra nutritional value they provide. Then the extra fiber is great for providing extra fodder for your internal wildlife and then you’re getting the extra antioxidants and phytonutrients and things like that. But that’s kind of the equation that we’re talking about. So if everybody were to take the amount of protein because most of us don’t feel like we’ve been fed unless we’re eating it like a steak that that’s big. 81:57 CL: Sure, 8 to 16 ounces. NG: And we’re not just talking about like steak and chicken breast or something like that. We’re talking about what our ancestors did was they ate nose to tail. So we’re talking about roasted bone marrow, which is delicious by the way; we’re talking making broth from the bones and consuming that as a very, very nourishing source of minerals and the glyconutrients that can help with your joints and help with your immune system and help rebuild your gut and all that kind of a thing. Then you’re talking about organ meats and liver being among the most important and by the way you want to prevent birth defects, you should be probably eating a serving of liver once or twice a week. It doesn’t have to be a slab of it. But you want to get natural pre-formed vitamin A and the only true form of vitamin A that exists is retinol from animal source foods. Beta-carotene is not vitamin A; it’s pro vitamin A. It takes anywhere from 6 to 20 units of beta-carotene to manufacture a single unit of vitamin A under optimal circumstances. Children can’t make those conversions at all, people with thyroid problems or liver problems or nutritional deficiencies can’t make those conversions. True vitamin A, I should say, can only be gotten from animal source foods. And vitamin D3, the richest natural source of vitamin D3 in our diets nowadays would actually be from fully pastured pork, for instance. In other words, from pigs that have been allowed to live out in fresh air and get a lot of sunshine and pork fat in that instance is going to contain an enormous of instance of very high quality, healthy vitamin D3. We can make D3 from sunlight under optimal circumstances during certain optimal times of the year with optimal skin exposure if we have enough cholesterol which again, we need to be eating animal source foods and all of that to manufacture that D3. Vitamin K2 can only be gotten, the most important form of vitamin K for your immune system for the absorption and proper utilization of minerals, for your heart health, for your brain health can only be gotten from animal source foods. The form that we’ve all been consuming is this MK-4 variety that is only found in pasture-fed animals. There is a bacterial generated variety called MK-7 that can be gotten from fermented foods, certain types of fermented foods. But that form actually doesn’t store in the body as readily as the other K2 and there’s no toxicity with any level of K2 that you consume in that form and all of this. So, fat is incredibly important if you want healthy hormones. You want your baby to have a healthy brain and nervous system, if you want to have a healthy fertility, you do need to consume more protein. So, yes, but make sure that you’re incorporating a variety of animal source foods and we’re talking nose to tail eating and not just steak and chicken. You want to incorporate liver. Sweetbreads are great which usually it’s the thymus gland of a calf that’s sold as sweetbreads. It tastes like chicken. I’m telling you it’s the easiest of the organ meats and it’s fabulous for your immune system. Do things with kidneys and with the heart. Beef heart – you can grind that into ground beef and not even know it’s there. You can add little bits of raw liver into that ground beef and you can get the benefits of liver, the benefits of heart, the benefits of other organ meats without even having to taste it if you don’t like the flavor. 86:12 CL: Gosh. We have covered so much. We’ve barely scratched it, but we definitely have to wrap it up. But I guess the question I know of people who are listening and going, “Okay, maybe I would consider organ meat,” where are they getting this organ meat? NG: So what I like to encourage people to do is develop a first-hand knowing of where your food comes from. Our ancestors did this as a matter of course. NG: Yeah. Safeway, right? Actually, if you ask a lot of kids in classrooms where does the chicken come from, they don’t know that the stuff that comes shrink-wrapped in the store actually came from an animal or what that animal even looked like. That’s how far removed we’ve become. So I encourage whole families to go out to farms where farmers and ranchers are working really hard to do the right thing and raise their animals in the best and most humane and clean, possible way, and look in the eyes of those animals. Get a sense of where that food is coming from. There’s a sense of the sacred that’s come in which I don’t want to get airy-fairy about this, but I think that there’s something there that we’re missing in that first-hand knowing. Look, I know what it’s like to look in the eyes of something that later wound up on my dinner plate. Nobody can tell me that I didn’t take that food into my body very differently than I would have if it was just something that I brought shrink-wrapped and fried up and gnash on my way to work or something like that. You develop that first-hand knowing of a sacred where your life force is actually coming from through that food and you develop that relationship with your food. Anyway, I think that it’s an important part of the equation. I can’t prove that but I think that there is reason to assume that there would be something to that. It’s important to know where that food is coming from, not just from that standpoint but just so that you’re assured that it’s being raised in the right way so that it’s going to be optimally healthy for you. Then I prefer to give my money directly to the farmers and ranchers that are working hard to do the right thing as opposed to the middle man in the grocery store or whatever else. But there are grocery stores selling grass-fed and finished meat and that’s fine and good and most people are going to opt for that option. But you can actually save money if you to the ranchers themselves. You can split a cow with a bunch of your neighbors and friends and come out ahead, get a chest freezer and freeze the rest and use that throughout the year or getting a hunting license and go out and hunt your own or whatever or a fishing pole. But there are also places like US Wellness Meats, for instance, that are online. John Wood really goes the extra mile to do the right things in the right way. 89:03 CL: US Wellness Meats. NG: Yes. Grasslandbeef.com is the website and you can order grass-fed meat by the cut and it will come right to your front door. There’s a company also called Fatworks that sells animal source fats from animals that were raised in exactly the right way. Now I know David Cole and his partner have been working painstakingly for years now to create a product that is doing the right thing and the right way for exactly the right reasons. And it’s a superior product and you can get everything from tallow to the best quality lards to wild boar fat or duck fat. Oh my God, that’s like my favorite actually thing to cook with before was duck fat. 89:49 CL: Duck fat is delicious. NG: Yeah. They wanted to cut 90% of the references. 91:17 CL: Your research is exhaustive so it’s sort of like, okay, this woman has done an extreme amount of labor on this subject. Nora, I can’t thank you enough. I’ve gotten so much out of this and I just want to go back and read your books again and definitely make some modifications in my own life. I always need to be tweaking and improving. Especially right before the holidays but also for fertility, you think about it and let it sink in, what she said, I mean it resonated with me. It really, really resonated with me. NG: One thing I want to point out is that all babies are foundationally born. In books on biochemistry and neurology, babies are born in a functional state of ketosis. They are born fat burners. As a matter of fact, ketones that once a baby is born and begins suckling, the richest natural source of medium chain fats that more readily convert to ketones is actually human breast milk. And babies begin producing ketones in earnest when they start suckling and ketones become the major fuel for brain development. Those fats are basically going to forming your baby’s brain and nervous system, its immune system, and all the nutrients that go with those fats are going to support their healthy functioning immune systems. Again, children don’t start craving carbohydrates until we start feeding it to them. They don’t crave sugary naturally until we start feeding them that stuff. Once they start to develop a sugar-burning metabolism, then you’ve got problems getting them back the other way. It’s totally doable and worth doing, but it’s better to not ever go there. And as a woman in nourishing this child, you want to be supplying ample amounts of these fats and fat-soluble nutrients for the healthiest possible pregnancy and you do want to be eating ample amounts of protein from meat and organ meats and bone marrow and all these wonderful things in order to nourish the brain of that baby. 93:45 CL: It’s a strong argument for breastfeeding. NG: It’s a very strong argument. Which everybody should be doing for as long as possible. 93:55 CL: And I’m going to blame my husband for the little carb addict that we’ve created though I probably had some part. Just kidding. NG: Our culture does everything it can to cultivate that. So I don’t blame anybody for eating that way. This is not the only way to do things. The alternative is there and it’s superior and I consider a sugar-based metabolism a form of metabolic enslavement and I consider fat-based metabolism as the ultimate state of metabolic freedom that there can possibly be. 94:25 CL: Wow. Absolutely. Oh my gosh, thank you so much. NG: You’re so very welcome. My pleasure. 94:35 CL: Thank you, Nora. All right, have a wonderful rest of your day! Thank you so much.